New Delhi: The Union Cabinet on Wednesday approved India's membership for European Bank for Reconstruction and Development (EBRD), a move which will help it obtain funding in various areas including services and manufacturing. Steps will be initiated by the Department of Economic Affairs to acquire the membership, Finance Minister Arun Jaitley said after the Cabinet meeting. 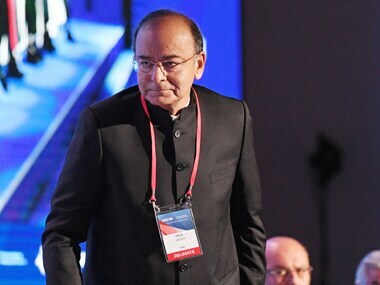 "Initially, we will take 100 shares," Jaitley said, adding that the finance ministry will decide on increasing its shareholding through negotiations. File image of Finance Minister Arun Jaitley. AFP. An official statement said that the membership will increase India's investment opportunities and enhance its international profile as well as promote its economic interest. "EBRD's core operations pertain to private sector development in their countries of operation. The membership would help India leverage the technical assistance and sectoral knowledge of the bank for the benefit of development of private sector," it added. It will also help enhance the competitive strength of Indian firms and provide an greater access to international markets in terms of business opportunities, procurement activities and consultancy assignments. "This would open up new vistas for Indian professionals on the one hand, and give a fillip to Indian exports on the other, it said. The membership will also enable employment opportunities at the bank for Indians, it added. About financial implications, the statement said the minimum initial investment towards the membership will be about 1 million euro (Rs 7.63 crore). "However, this assumption is based on India deciding to buy the minimum number of shares (100) required for obtaining the membership. If India were to buy a higher number of bank shares, the financial implications could be higher," it added. In-principle approval of the Cabinet at this stage is being obtained for joining the Bank.